"Regional Geology, Sedimentology & Stratigraphy, Tectonic & Structural Geology, Hydrogeology and Analogue Experimental Modeling "
Wibowo, A., Harishidayat, D., Fardiansyah, I., Taufani, L. 2018. Sedimentology and reservoir implication of syn-rift alluvial-fluvial system in the Payakumbuh basin, West Sumatera, Indonesia. The 47th PIT IAGI. Akbar, M.R.R., Harishidayat, D., Taufani, L., Rohmana, R.C., Wibowo, A., Fardiansyah, I., 2018. Hyperpycnal Flow Turbidites Variability and Characteristic in The Transition Zone of Tropical Region Using 2D Flume Experiment Approach. The 3rd International FOSI-IAS-SEPM Regional Seminar. Yogyakarta – Indonesia. Harishidayat, D., Taufani, L., Fardiansyah, I., Wibowo, A., 2017, Integrated Digital Outcrop Model (DOM) and Seismic Forward Modelling: Application to Enhance Subsurface Interpretation in Deltaic System of Kutai Basin, East Kalimantan, Proceeding The 41th Annual Indonesian Petroleum Association (IPA) Convention & Exhibition, Jakarta, Indonesia. Ramadhina, P., Widyastuti, M., Asbella, K. A., Rohmana, R. C., and Dewi, T. S., 2017, Multivariate Statistics Analysis of Geochemical Data In The East Java Basin For Oil Grouping: Hierarchical Cluster Analysis and Principal Components Analysis Methods, Indonesian Society of Petroleum Geologists (ISPG) Research Forum, Jakarta Indonesia. Fadhlillah, M. W., Ghufrani, P. M., Achmad, A., Rohmana, R. C., Ardenta, H, N., 2016, Building A Scaled Geological Model From The Halang Formation Outcrops: Implication to Unravel Challenges and Opportunities Of Deepwater Reservoir, Simposium & Kongres Nasional IATMI, Jakarta, Indonesia. Ardenta, H, N., Rohmana, R. C., Fadhlillah, M, W., Ghufrani, P, M., and Achmad, A., 2016, Depositional Facies and Paleogeography Model of Halang Formation: Implication to Reservoir Geometry in Turbidite Systems, Seminar Nasional Kebumian XI – FTM – UPN “Veteran” Yogyakarta, 03th-04th November. Zakaria, R., Rohmana, R. C., Taufik, R., Dewi, T,S., and Ramadhina, P., 2016, Tidal Flat Facies and its Porosity Based on Outcrop Data in Ngrayong Formation, Kadiwono Area, Central Java, Seminar Nasional Kebumian XI – FTM – UPN “Veteran” Yogyakarta, 03th-04th November. 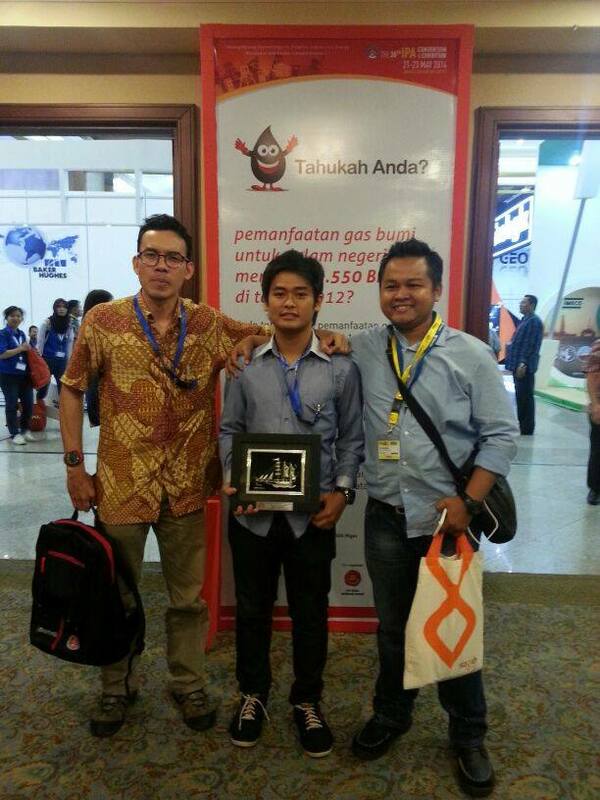 Wibowo, A., and Fardiansyah, I., 2016. Alluvial – Fluvial Architecture of Synrift Deposits: An Observation from the Outcrops of Brani Fm., Ombilin Basin, West Sumatra. Berita Sedimentologi, No. 36, Indonesian Sedimentologist Forum (FOSI). Ramadhina, P., Rohmana, R. C., Dewi, T,S., Widyastuti, M., and Setiadi, I, M, D., 2016, Investigation of Organism Heterogeneity and its Porosity in Limestone Based on Integrated Outcrop Data: Implication for Determining Depositional Facies of Bulu Formation, Seminar Nasional Kebumian Ke-9, UGM, Yogyakarta, 06th-07th October. Zakaria, R., Rohmana, R. C., Taufik, R., Dewi, T,S., and Ramadhina, P. A., 2016, Study of Open Coast Tidal Flat Sedimentology Based on Outcrop Data in Ngrayong Formation, Kadiwono Area, Central Java, Seminar Nasional Kebumian Ke-9, UGM, Yogyakarta, 06th-07th October. Ardenta, H, N., Rohmana, R. C., Fadhlillah, M, W., Ghufrani, P, M., and Achmad, A., 2016, Development of Deepwater Facies and Paleogeography Model in Fore Arc Basin: An Example From The Halang Formation, Banyumas Sub Basin, Central Java, Seminar Nasional Kebumian Ke-9, UGM, Yogyakarta, 6th-7th October. Gazali, R.M, S., Abhimantara, S., Ibadurrahman, H,S., Endarmoyo, K., 2016, Preliminary Study Of Hydrocarbon Potential in Intra Arch Basin Deposits : Case Study on Jaten Formation, Trenggalek, East Java, Indonesia, The 44th ASEAN AUN/SEED-Net Regional Conference Geological and Geo-Resource Engineering, Bangkok , Thailand, 28th-29th July. Hapsoro, S., Krisnabudhi, A., Rahmanto,B, Ibadurrahman, H,S., Gazali R,M., R. Rahmadi I,P., 2016, Tectonic Event Trailing based on Fragments of Waturanda Formation, Wadasmalang, Karangsambung, Central Java, The 44th ASEAN AUN/SEED-Net Regional Conference Geological and Geo-Resource Engineering, Bangkok , Thailand, 28th-29th July. Rohmana, R,C., Fardiansyah, I., Taufani,L., Budiman, A., Gunawan,A., 2016, Digital Outcrop Model (DOM) And High‐Resolution Sedimentology of Balikpapan Deltaic Sandstone: Perspective of Heterogeneities in Thin‐Bed Reservoir, Proceeding The 40th Annual Indonesian Petroleum Association (IPA) Convention & Exhibition, Jakarta, Indonesia, 25th – 27th May. Dewi, T,S., Rahmanto, B., Ramadhina, P., Rohmana, R,C., Gunawan, A., 2015, Geotage: Geological Shareware Application For Geology Object, Seminar Nasional Kebumian ke-8 UGM, Yogyakarta, 15th -16th October. Irwanto, H., Hapsoro, S,E., Zoenir, G,D., Maha, M., Setiawan, J., 2015, Tinjauan Ulang Terhadap Posisi Stratigrafi Formasi Pelang, Seminar Nasional Kebumian ke-8 UGM, Yogyakarta, 15th -16th October. Rohmana, R,C., Fardiansyah, I., Budiman, A., Malda, O., Taufani, L., Yessica, P., 2015, Application of Modern Fluvial Geomorphology: Quantitative Approach of Uncertainty Prediction for Subsurface Interpretation, Joint Convention Balikpapan (JCB) HAGI-IAGI-IAFMI-IATMI, Balikpapan, 5th-8th October. Gunawan, A., Rohmana, R,C., Femant, V., 2015, Geotage: Shareware Application For Record Indonesia Geological Heritage, Joint Convention Balikpapan (JCB) HAGI-IAGI-IAFMI-IATMI, Balikpapan, 5th-8th October. Arta, D., Putri, W., Bonar, E., M.Dahyar, Prasetya, Y., Heru Sigit P., Danisworo, C., 2015, The Occurrence of Acid Mine Drainage at Coal Mining of Upper Warukin Formation; the Correlation with Clay Minerals Genesis in Coal Bearing Formation, Reviewed of Sedimentary Process with Geochemical Aspect, Joint Convention Balikpapan (JCB) HAGI-IAGI-IAFMI-IATMI, Balikpapan, 5th-8th October. Arta, D., Cahyo, F,A., Rizky, A., Anggraeni, W,P., Ardianta, P., Putri ,V,E., Harits, A., Kristo, E., 2014, Carbonate Microporosity of Middle Miocene Jonggrangan Formation : Implication to Carbonate Reservoir in South Central Java Offshore, The 43th IAGI Annual Convention & Exhibition, Jakarta, 15th-18th September.Hapsoro,E.S., Irwanto, H., 2014, Learning Biostratigraphy in University of Pembangunan Nasional”Veteran”Yogyakarta, Berita Sedimentology, Number 31. Rohmana, R,C., Fardiansyah, I., Budiman, A., Malda, O., Taufani, L., Yessica, P., Prisila, J., 2014, Quantitative Application of Fluvial Geomorphology: Insight Into Modern Equatorial River of Borneo, Indonesia, Seminar Nasional Kebumian UGM, Yogyakarta, 30th-31th October. Ramadhan,B., Malda, O., Cahyo, F.A., Fardiansyah, I., Budiman, A., The Dynamic Interaction of Turbidity Current Under Dense Stratified Water: A Flume Experimental Model Approach, Seminar Nasional Kebumian UGM, Yogyakarta, 30th-31th October. Laksmi, B., Yessica, P., Bonar, E., 2014, Source Rock Potential Prospection of Lumbir Area : Geochemical Constrain Neogene Stratigraphic Unit of Banyumas Sub Basin, The 43th IAGI Annual Convention & Exhibition, Jakarta, 15th-18th September. 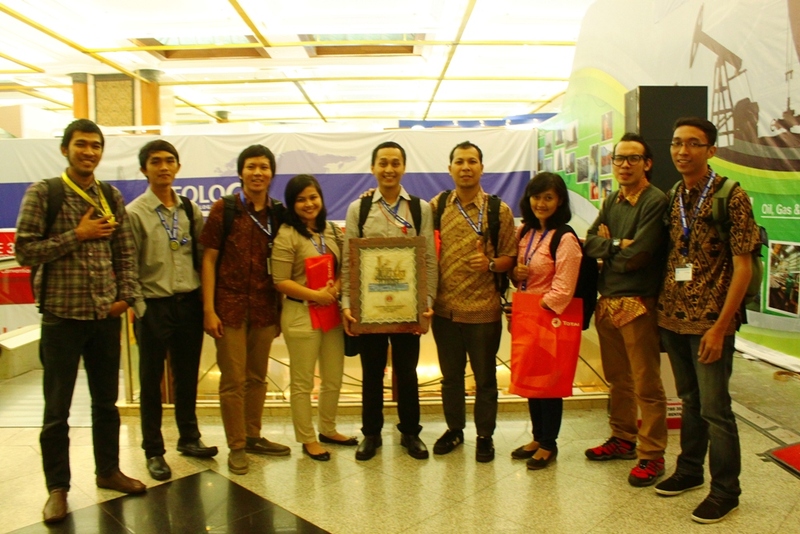 Gunawan,A., Ariwibowo,D., Permana,A.U., Romadhon,W.C., Ikhsansyah, P.P, 2013, Geological Investigation about Flood in Samarinda and Preventation, The 42th IAGI Annual Convention & Exhibition, Medan, 28th-31th October. Cahyo, F.A., Fardiansyah, I., Malda, O., Prasetyadi, C., 2013, Three-Dimensional Facies Modeling of Deepwater Fan Sandbodies : Outcrop Analog Study from the Miocene Kerek Formation, Western Kendeng Zone (North East Java Basin), Berita Sedimentologi, Number 26. Anom,F.D., Hardito,R.M., Fahlevi.,L., Purnamasari,V., Rohmana R.C., Prasetyadi, C. 2012, Ichnofacies Study Of Volcaniclastic Turbidite Sambipitu Formation Based On Outcrop Data In Ngalang River, Nglipar Area, Kabupaten Gunung Kidul, Yogyakarta : An Explanation For The Dynamic Process Of Volcaniclastic Turbidite Sambipitu Formation In Java Oligomiocene Volcanic Arc, The 41th IAGI Annual Convention & Exhibition, Yogyakarta, 17th-20th September. Cahyo, F.A., Ramadhan, A., Noviawan, A.D., Fardiansyah, I., Prasetyadi, C., 2012, Karakteristik Gumuk Pasir Dan Aspek Sedimentologinya: Studi Pendahuluan Dari Resen Sedimen Di Parangtritis, Jawa Tengah Bagian Selatan, The 41th IAGI Annual Convention & Exhibition, Yogyakarta, 17th-20th September. Hardito, R.M., Kurniawan, R., Prasetyadi, C., 2012, Energi Ombak Sebagai Energi Terbarukan Yang Berpotensi Di Pantai Parang Rancuk, Wonosari, Kab. Gunung Kidul, D.I Yogyakarta Menggunakan Perangkat Oscillating Water Column : Sebagai Analog Energi Ombak Yang Berpotensi Di Indonesia, The 41th IAGI Annual Convention & Exhibition, Yogyakarta, 17th-20th September. Kurniawan,R.,Ibadurrahman,H., Kristianto, R.A., Fanani, Z., Prasetyadi, C., 2012, Analisa Struktur Dan Stratigrafi Terhadap Keterdapatan Rembesan Minyak Dan Gas Berdasarkan Data Permukaan Di Formasi Kerek, Wonosegoro, Boyolali, Jawa Tengah, The 41th IAGI Annual Convention & Exhibition, Yogyakarta, 17th-20th September. Ramadhan, G.C., Puspitasari, E., Daniar, M., Dwika, Y., Cahyo, F.A., Prasetyadi, C., 2012, Organism Variety Effect on Carbonate Rock Porosity of Jonggrangan Formation : Alternative Approach to Predict Porosity Compexity, The 41th IAGI Annual Convention & Exhibition, Yogyakarta, 17th-20th September. Ramadhan, G.C., Puspitasari, E., Daniar, M., Dwika, Y., Cahyo, F.A., Prasetyadi, C., 2012, Biozonation Study of Jonggrangan Carbonate Succession Based on Petrographical Analysis, The 41th IAGI Annual Convention & Exhibition, Yogyakarta, 17th-20th September. Saputra, I., Fardiansyah, I., Budiman, A., Ramadhan, A., Gunawan, A., 2012, Petroleum Plays Significance of Growth-Faulted Delta Systems: An Analog Flume Experimental Model of The Mio-Pliocene Sequence of Mahakam Area, East Kalimantan, Indonesia, AAPG International Conference & Exhibition, Singapore, 16th-19th September. Saputra, I.,Dewi, F.P., Fardiansyah, I., Budiman, A., Ramadhan, A., Gunawan, A., 2012, Quantitative Analogue Flume Model Study of Growth-Faulted Delta Systems : An Example From Mahakam Delta Case, The 41th IAGI Annual Convention & Exhibition, Yogyakarta, 17th-20th September. Saputra, I., Fardiansyah, I., Budiman, A., Ramadhan, A., Gunawan, A., 2012, Chronostratigraphic Reconstruction of Mio-Pliocene Mahakam Delta And Its Consequence for Petroleum Plays : An Analog Flume Tank Experimental Model of Mahakam Area, Proceeding The 36th Annual Indonesian Petroleum Association (IPA) Convention & Exhibition, Jakarta, Indonesia, 23th-25th May. Sulaeman, H.I., Fahlevi, L., Allo, E.J., Rahmadina, Murwanto, H., Setiawan, J., 2012, Neotectonics Study of Magelang Area, Central Java : Applied to Earthquake Mitigation of Magelang Area, The 41th IAGI Annual Convention & Exhibition, Yogyakarta, 17th-20th September. Meta, S.B., Purnamasari, V., Purnamasari, E., 2011, Pengaruh Lingkungan Pengendapan Terhadap Geometri Batubara Formasi KampungBaru, Daerah Tepok, Daerah Konsesi PT. Etam Manunggal Jaya, Geology Paper Contest-AAPG-UGM SC, Yogyakarta, Indonesia, 2nd December. Ibadurrahman, H., Naen, A.I.H.B., Nurjihan, A., 2011, Fault Implications To Coal Quality In Tutupan Mining Area, South Kalimantan Based On Calory And Vitrinite Reflectance, Geology Paper Contest-AAPG-UGM SC, Yogyakarta, Indonesia, 2nd December. Fanani, Z., Ramadhan, A., Cempaka, G., 2011, Studi Mengenai Kualitas Reservoir Pada Lower Sand Dari Formasi Bekasap Berdasarkan Identifikasi Geometri dan Karakteristik Reservoir, Lapangan Bengkalis, Cekungan Sumatra Tengah, Geology Paper Contest-AAPG-UGM SC, Yogyakarta, Indonesia, 2nd December. Budiman, A., Priyono, A., Samodra, A., Mu’in, F., Latuconsina, M., 2011, Integrated Geological Structure Modeling & Seismic Attributes Analysis for Fractured Basement Reservoir Identification in Pangea Block, South Sumatera Basin, Indonesia, Proceeding International Petroleum Technology Conference (IPTC), Bangkok, Thailand, 15th -17th November. Ramadhan, G.C., Fahlevi L., 2011, Turbidite Facies And Geometry In 3D Modeling Based On Outcrop Section In Kedung Jati Area, Central Java : Applied To Reservoir Model Of Turbidite Sand, Geoscience Student Competition-SEG-HMGF UGM, Yogyakarta, Indonesia, 29th-30th October. Saputra, I., Rohmana R.C.A., 2011, Stratigraphy Sequence Based On Outcrop Data Approach On Interpretating Dukuh-Formation’s Depositional Environment, Geoscience Student Competition-SEG-HMGF UGM, Yogyakarta, Indonesia, 29th-30th October. 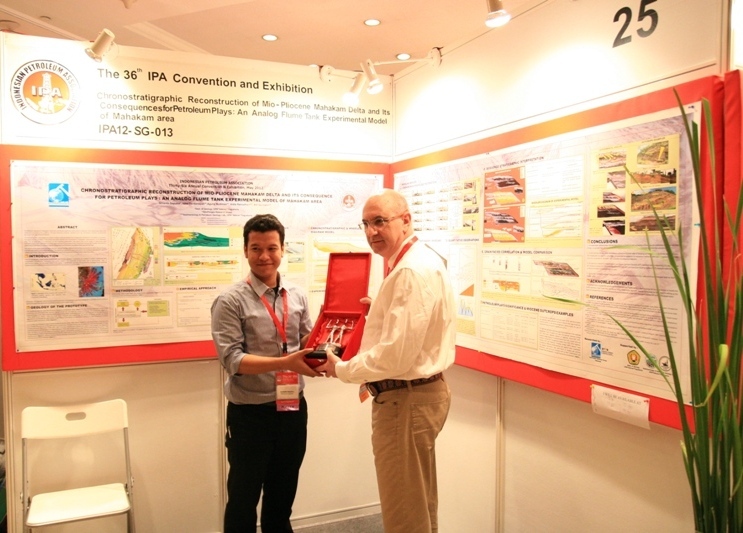 Budiman, A., Priyono, A., Samodra, A., Mu’in, F., Latuconsina, M., 2011, Fractures Related Fault Analysis for Basement Reservoir Identification in Pangea Block, South Sumatera Basin, Proceeding The 36th HAGI and 40th IAGI Annual Convention and Exhibition, Makassar, Indonesia, 26th-29th September. Cahyo, F.A., Fardiansyah, I., Malda, O., Prasetyadi, C., 2011, 3D Modeling Of Kerek Turbidite Sand Bodies Based On Outcrops Study In Kedungjati Area, Central Java : An Analog For Sandy Miocene Formation In Western Kendeng Zone, Proceeding The 35th Annual Indonesian Petroleum Association (IPA) Convention & Exhibition, Jakarta, Indonesia, 18th-20th May. Naen, A.I.H.B., Novadhani, A., Fanani, Z., Sulaksono, A., Gunawan, A., 2010, Sistem Akuifer PAda Batuan Kristalin, Daerah Temas, Kecamatan Bayat, Jawa Tengah, Prosiding Seminar Nasional Aplikasi Sains & Teknologi-IST AKPRIND, Yogyakarta, Indonesia, 11th December. Cahyo, F.A., Ramadhan, A., Noviawan, A.D., Fardiansyah, I., 2010, Gumuk Pasir, Aspek Geologi & Peranannya Dalam Manajemen Bencana Alam Di Parangtritis, Prosiding Seminar Nasional Aplikasi Sains & Teknologi-IST AKPRIND, Yogyakarta, Indonesia, 11th December. Gunawan, A., Prabowo, A.E., Prasetyadi, C., Triwibowo, B., 2010, Sifat Penyekatan Sesar Anjak Semberah Serta Implikasinya Terhadap Karakterisasi Perangkap Hidrokarbon, Cekungan Kutai, Proceeding The 39th Indonesian Association of Geologists Annual Convention & Exhibition (PIT-IAGI), Senggigi, Lombok, Indonesia, 22nd-25th November. Budiman, A., Fardiansyah, I., Prasetyadi, C., 2010, Identifikasi Pengaruh Geologi Terhadap Kompresibilitas Batuan Pada Fasies Delta, Daerah Simpang Pasir, Samarinda Seberang, Cekungan Kutai, Proceeding The 39th Indonesian Association of Geologists Annual Convention & Exhibition (PIT-IAGI), Senggigi, Lombok, Indonesia, 22nd-25th November. Fardiansyah, I., Budiman, A., Prasetyadi, C., 2010, Identifying Rock Compressibilities Influenced on Delta Facies at Simpang Pasir Area, Samarinda Seberang, Kutei Basin and It’s Related to Reservoir Characterization, Proceeding The 34th Annual Indonesian Petroleum Association (IPA) Convention & Exhibition, Jakarta, Indonesia, 18th-20th May. @Satyabrata: Thank you for visiting our blog. Enjoy…. Extended Abstract “Alluvial – Fluvial Architecture of Synrift Deposits: An Observation from the Outcrops of Brani Fm., Ombilin Basin, West Sumatra.